Reporting on on the fourth edition of this trade fair in Düsseldorf. 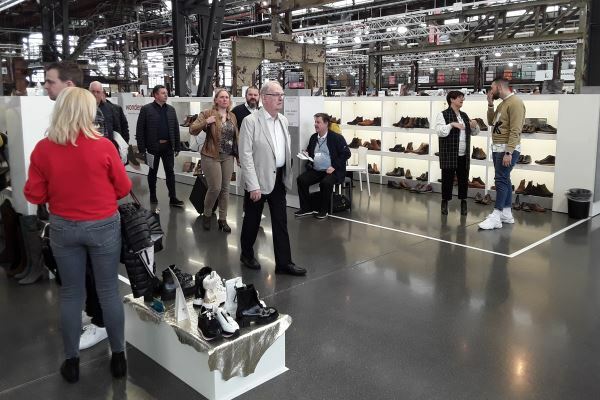 The Gallery Shoes exhibition was recently held at the Areal Böhler exhibition site in the German city of Düsseldorf with, according to the event organisers, over 350 exhibiting companies from 17 countries in attendance to showcase their autumn/winter 2019-2020 collections. Spread over several halls, the fair was divided into a number of ‘zones’, with participating shoemakers being allocated into areas called ‘premium’, ‘contemporary’, ‘urban’, ‘comfort’ and ‘kids’. 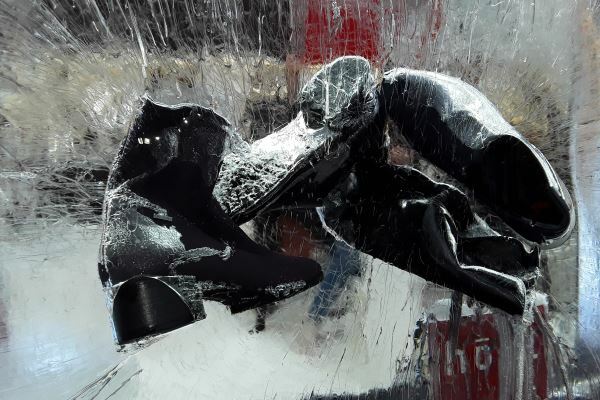 The first day of Gallery Shoes opened as a windstorm hit northern Europe. In order to protect the safety of visitors, the decision was taken in the early afternoon to prevent anyone leaving the halls for about an hour. The strength of the winds decreased sufficiently to later allow the event to once again operate normally, but not before damage had been caused to flags, banners and some outside marquees. Thankfully, the storm had passed by the time the doors opened for the second day of the exhibition. A number of trends for the coming season were immediately obvious when viewing the collections on display. A considerable number of companies will be offering shoes and boots with reproduction snakeskin uppers – mainly in black, white and grey, but also to a lesser degree in pinks and blues. Another popular design element seen at the show was the use of hair-on uppers – particularly to mimic the appearance of the skin of a spotted cat. In addition, long faux fur was seen decorating a number of ankle boot styles, with footwear incorporating wool and embossed leather also on display. As well as more traditional shoes and boots in plain, dark colours displayed at Gallery Shoes, some companies’ collections exhibited a level of originality. These utilised heavy embroidery, metallic studs, masses of gemstones, mixed upper materials in patchwork designs, printed uppers featuring bright ‘paint-like’ splashes of colour, and printed soles complete with graphics and wording. 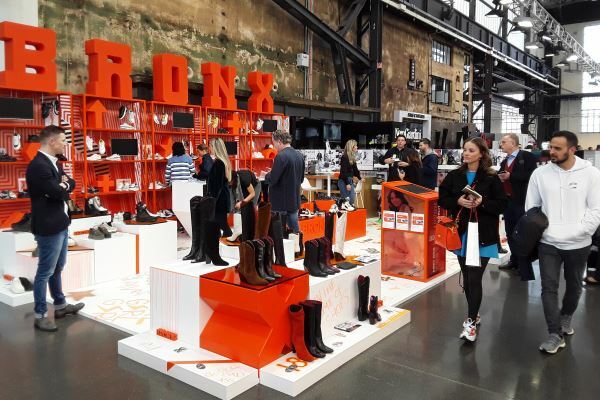 Accessories – particularly bags of various sizes, belts and purses – were evident on a number of stands, demonstrating their value in offering an overall fashion look. Companies offering socks, components and cleaning products were also represented at the show. 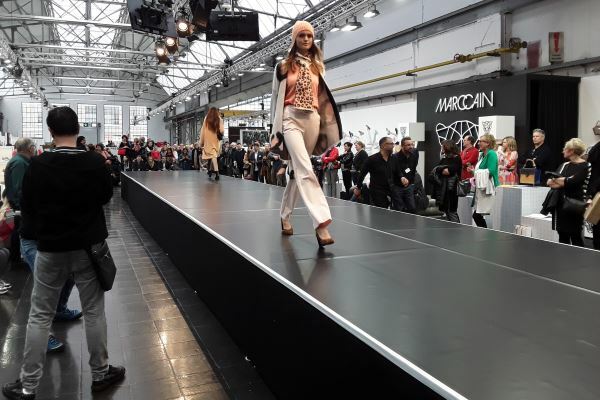 A number of ‘media events’ on fashion forecasts were held during the event, mainly in the German language, and there were also several catwalk fashion shows exhibiting new footwear designs. No doubt the bad weather kept some visitors away. However, even when conditions had improved, the aisles were not very crowded. Many exhibiting companies’ members of staff could be seen waiting for visitors or, befitting the time in which we now live, sending text messages on their mobile phones. Recently-released final figures give the total number of delegates as 9,800. Nevertheless, while this number is lower than some comparable fairs, it would not be surprising if exhibiting companies that were happy to have been a part of Gallery Shoes stress the quality of visitors to their stand rather than the quantity. 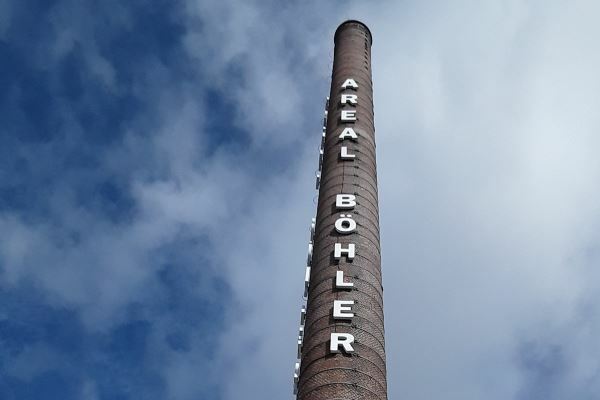 The next edition of Gallery Shoes – showing spring/summer 2020 styles – is scheduled to be held at Areal Böhler on 1st-3rd September 2019. This article was originally published on page 52 of the April 2019 issue of SATRA Bulletin.